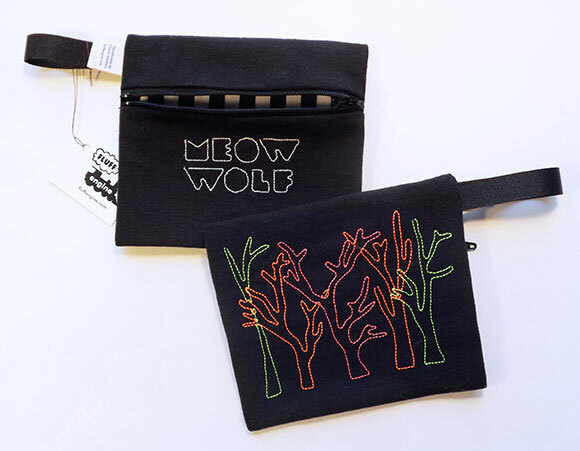 I made another coin purse style bag for Meow Wolf. This one inspired by the neon trees in the fish tank. They're made of black cotton canvas, with a interior lining either with black and white stripes or chevrons. It took me so long to get to this post, they're all sold out now. I'm not currently making any right now but that may change in the future. As always Meow Wolf is an amazing one of kind experience, so go check it out regardless if I have anything in the gift shop.